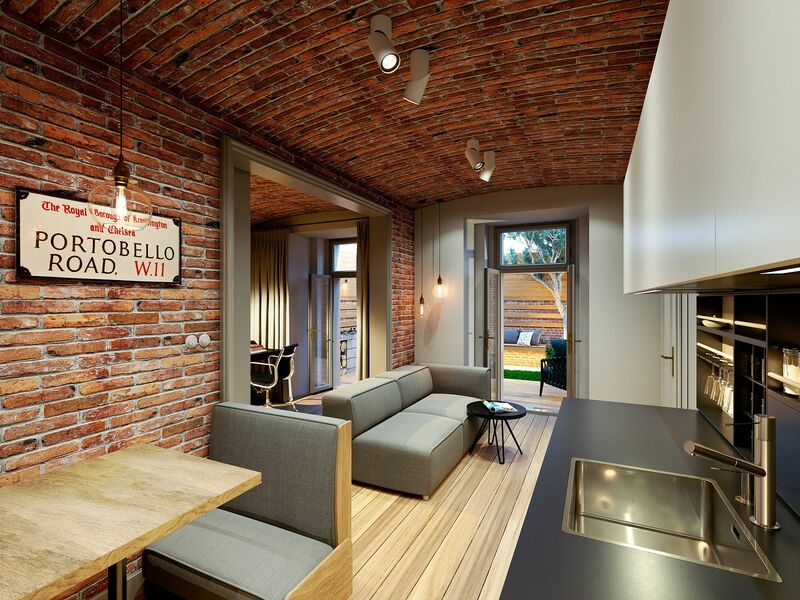 The Orelská 13 Residence offers the kind of apartments that you can easily and quickly arrange according to your taste. 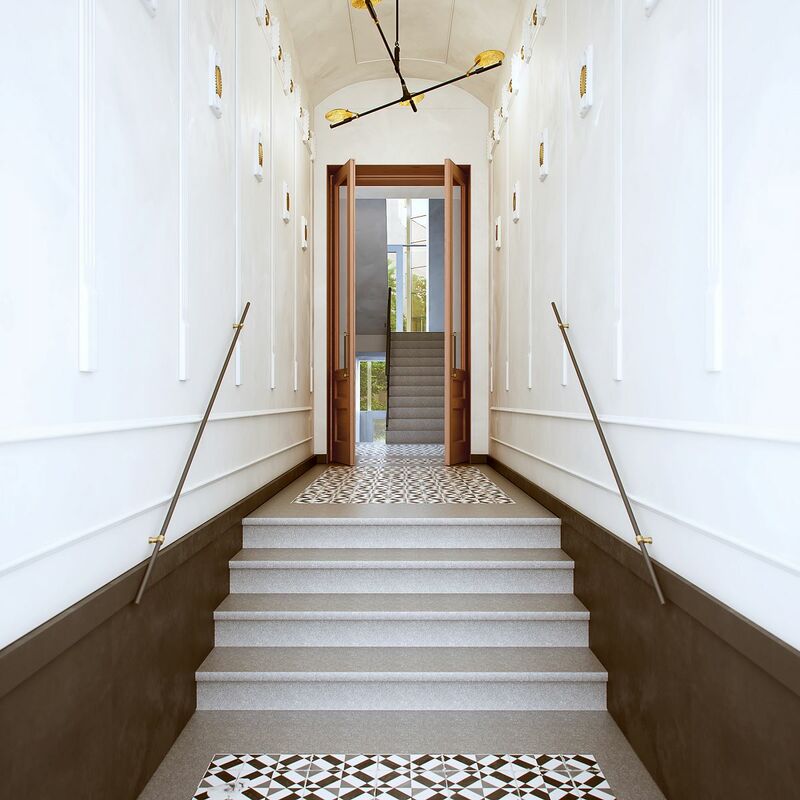 The original conditions are excellent - a newly renovated Art Nouveau building with a courtyard full of greenery, carefully renovated common areas, and apartments with smart layouts that are ready to be given a new face. Located in the vibrant neighborhood of Vršovice, a few steps from Vršovice Square or the iconic Krymska Street. 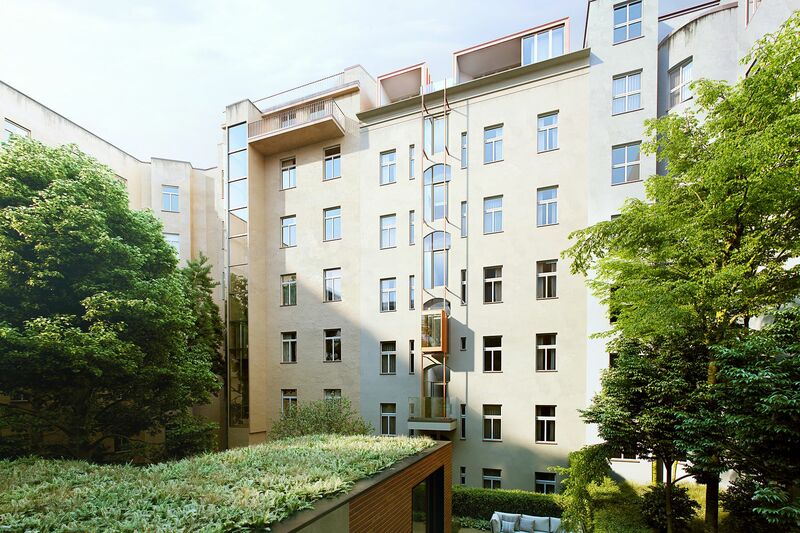 Scheduled completion for May 2019 (1st phase - ground to 4th floor) and October 2019 (2nd phase - attic apartments, apartments with gardens, and common areas of the building). 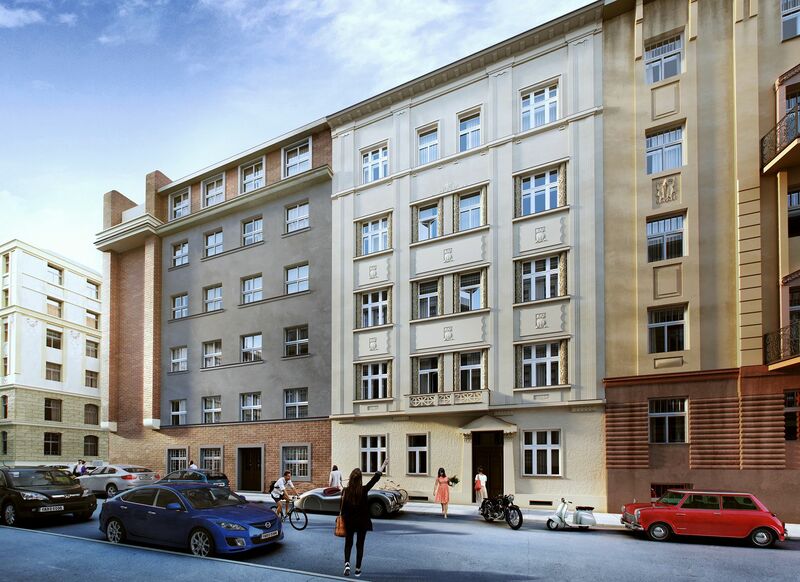 The reconstruction of an Art Nouveau building from 1911 in the older part of the ​​Prague neighborhood of Vršovice, which consists of 19 units - 15 one-bedroom apartments, two ground floor apartments with gardens, two newly built attic apartments with terraces, and a detached garden house with its own plot. During the reconstruction, the maximum of its Art Nouveau charm will be preserved or restored - casement windows, double-wing entrance doors, loggia walls, staircase railing, etc. The building will also be completely upgraded, a new elevator will be installed, the pipes will be replaced, attic apartments will be built, and the common areas will be completely renovated. 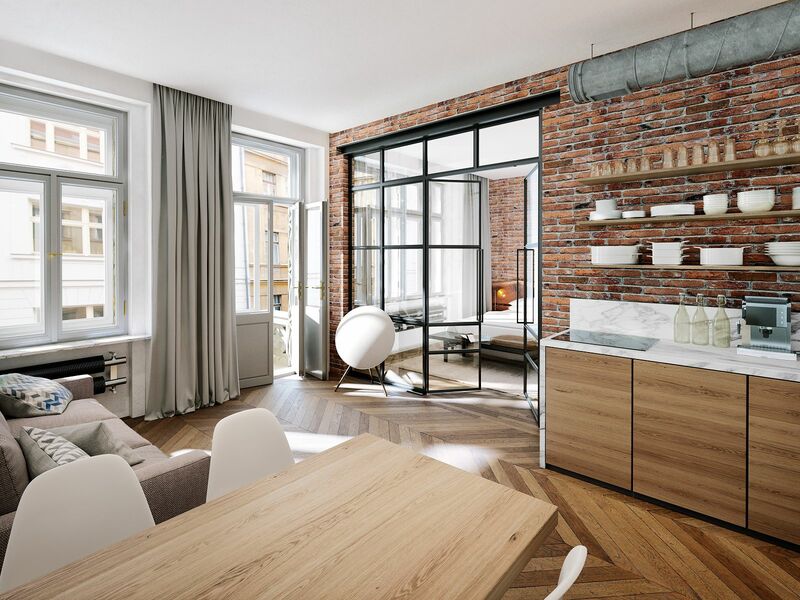 Most of the apartments in Orelska 13 are offered in a state of white walls (final approval requirements), i.e. before the final surfaces have been completed. 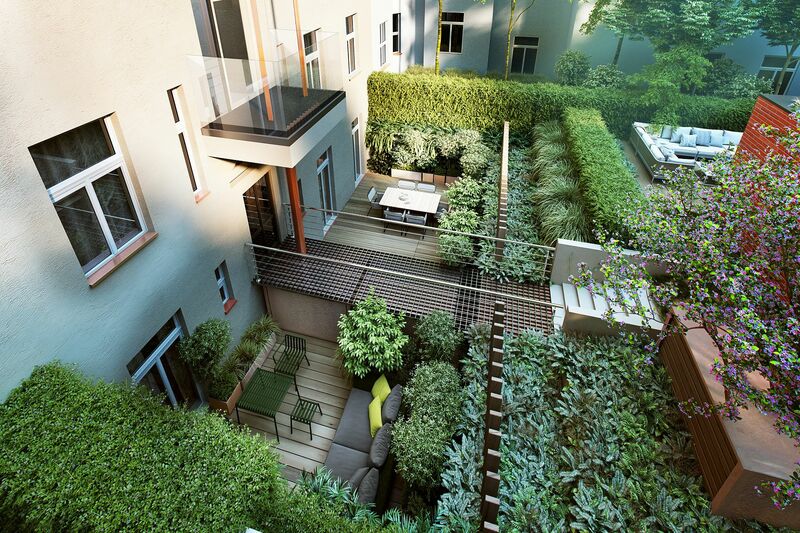 It is a perfect opportunity for those who want to create their own distinctive home. 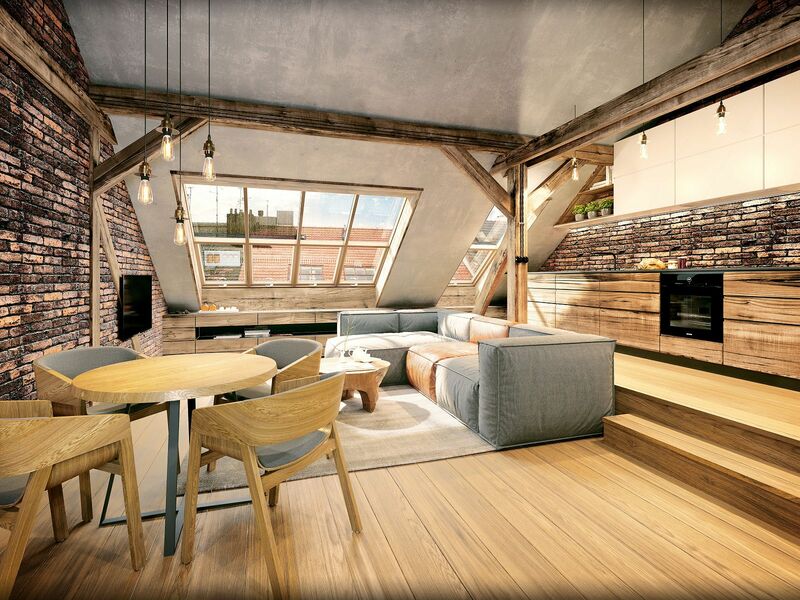 Two newly built attic apartments with galleries and a show flat will be completely finished. Most European cities have a proverbial "cool district," whose fame crosses national borders. In Prague, that neighborhood is Vršovice. In the last decade, it has undergone a dynamic transformation, supported not only by the local administration, but also by a number of neighboring projects and initiatives. 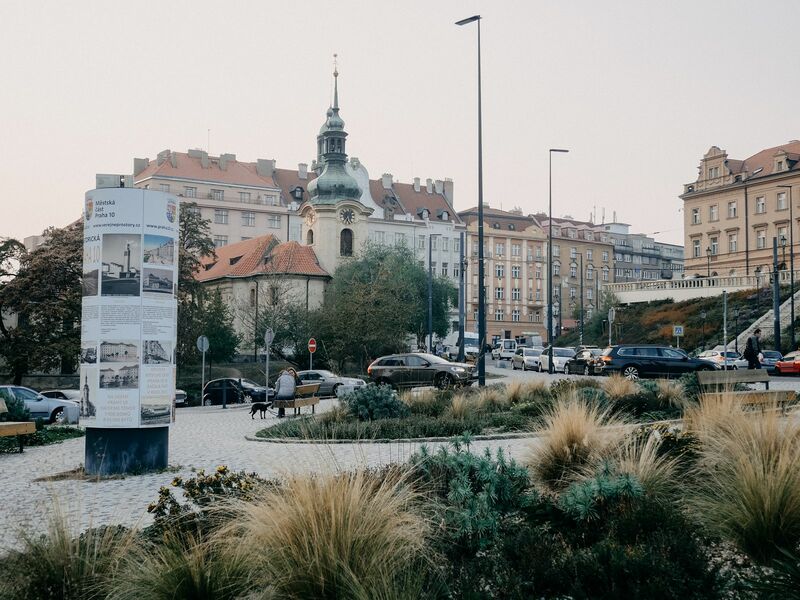 The most striking example of the new face of Vršovice is Krymská Street, which the New York Times called one of the 12 most popular European streets. Krymská Street and its surrounding area are filled with purely local places - from bistros, cafes, and home bakeries to an art house movie theater, yoga studio, and a variety of pop-up projects. 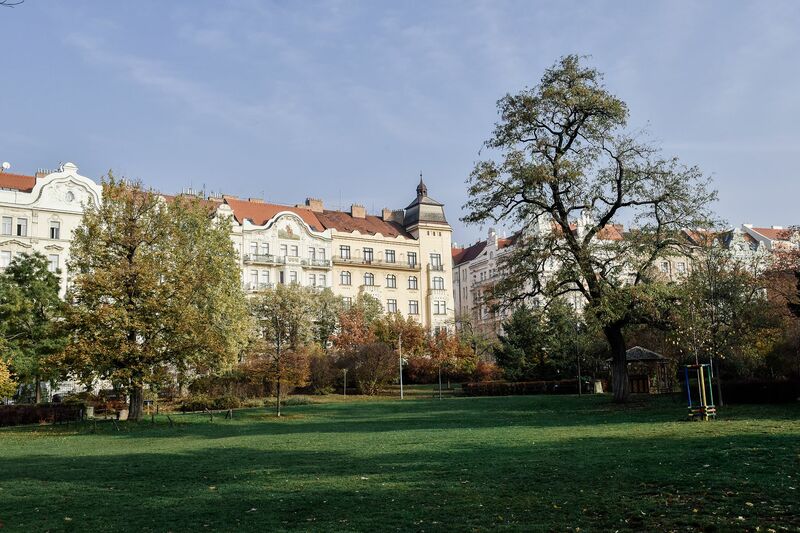 All of this and more is just a few minutes' walk from the Orelská 13 Residence, as is the charming Havličkovy Sady Park with its own vineyard. On the opposite side, there is a sports complex with a swimming pool or a shopping mall. 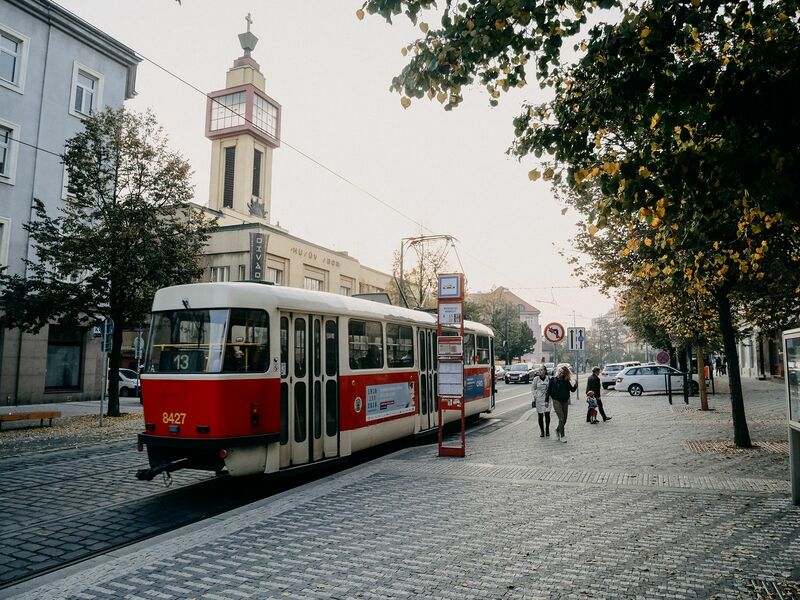 A tram stop is 250 meters away from the house and you can reach the center of Prague in a few minutes. By car, you can easily reach the South Connecting Road.